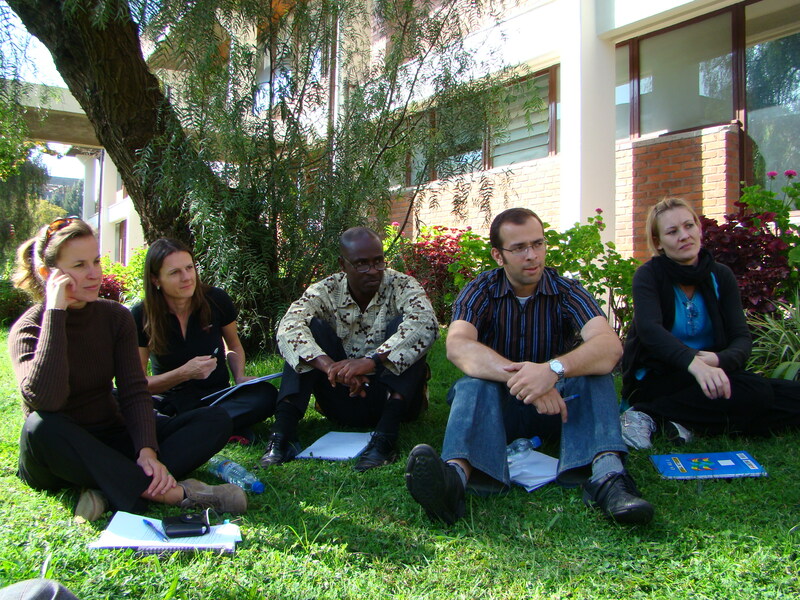 In November 2008 the Knowledge Sharing in Research project held its Synthesis Workshop in Addis Ababa, Ethiopia. A number of blog posts were written on this workshop and more information will be made available over the next few months. 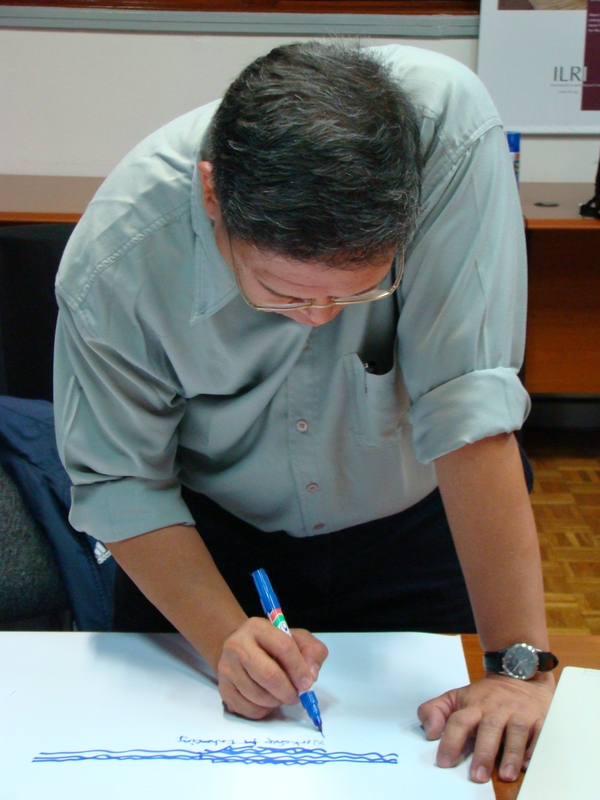 The newest ICT-KM newsletter for 1st quarter of 2009 also features an article about the KSinR Synthesis workshop. 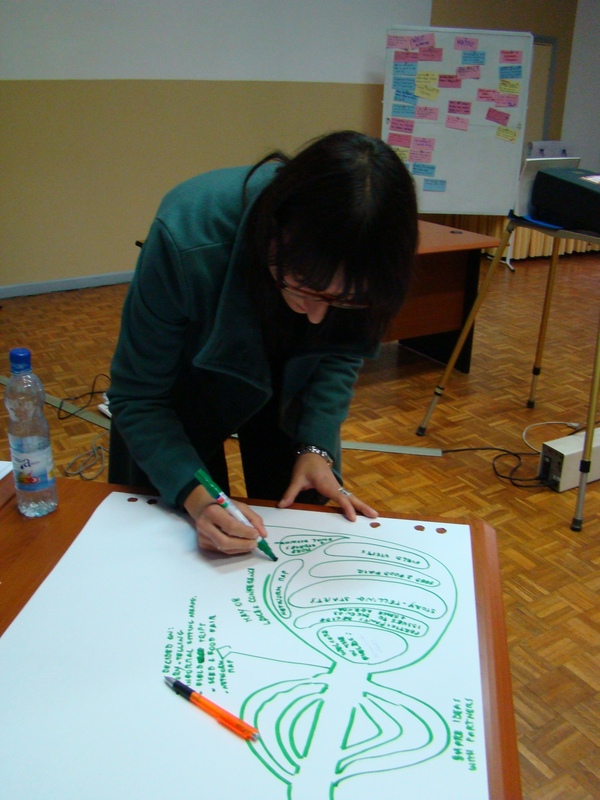 FInd photos from the recently held Knowledge Sharing in Research project Synthesis Workshop on the KS project’s Flickr site. 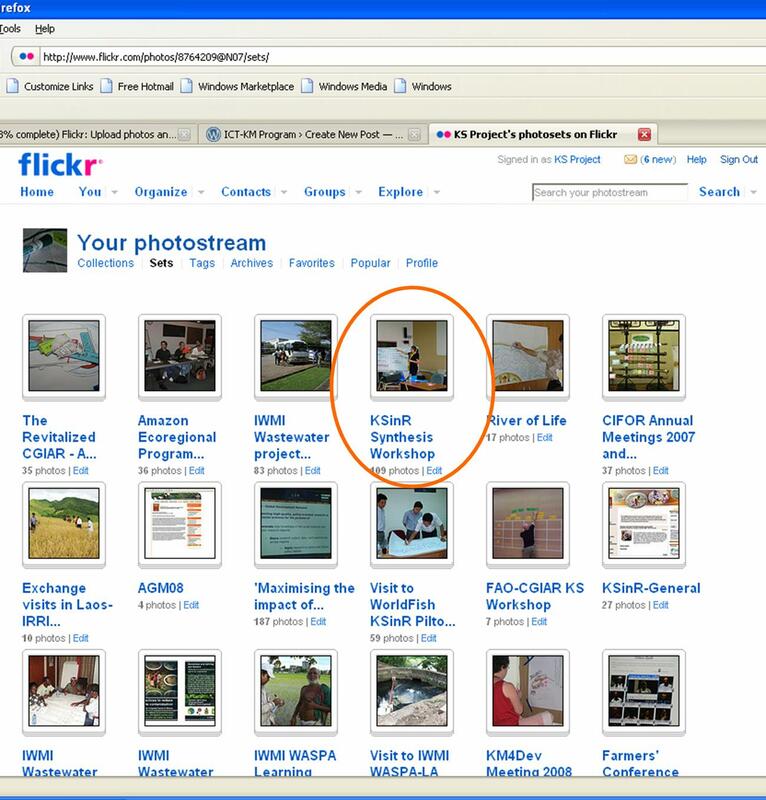 Or click on the PHOTOS tab on the top of the KS website home page (www.ks-cgiar.org)–which will take you to the Flickr site page showing all the sets of KS Project photos available–and go to the KSinR Synthesis workshop Photo set–shown in image below. 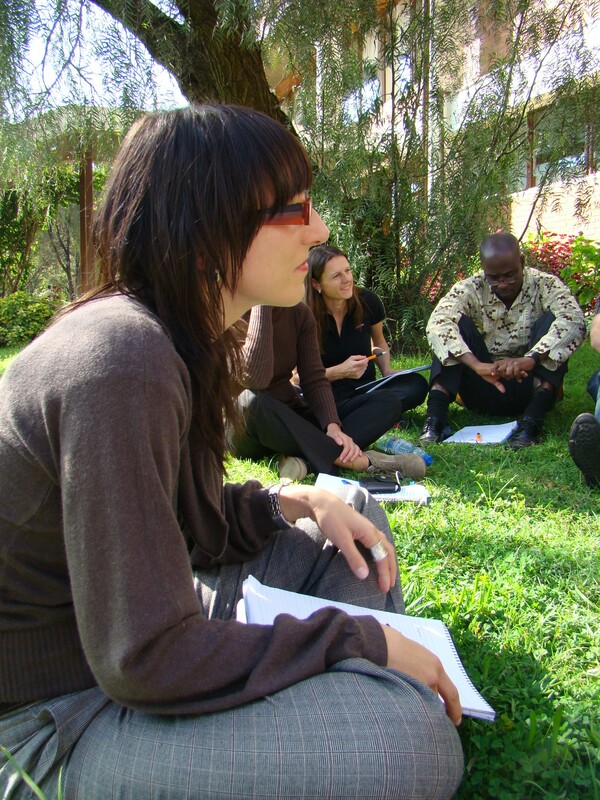 In the Most Significant Change story approach it is usual for the participants as a whole to listen to the stories and make a selection of that story or those stories which they consider to be most significant for the group or the program. And instead of them making their comments and selection just between the two of them (in private), the workshop used a fishbowl technique which involved Meredith and Debbie sitting in the middle of a circle made up up of all the other participants of the workshop. Meredith and Debbie then commented on all the stories, indicating things they liked about stories, important points, key elements of packaging stories and their thoughts on the importance of particular changes indicated. They also talked about how well these could be ‘sold’ to their research Centres and projects. Everyone was asked to listen to them without interrupting first–and only after they finished their ‘internal’ discussion was it opened up to the wider group. In the Knowledge Sharing in Research(KSinR) project, the 6 Pilot Projects have be en piloting a range of knowledge sharing approaches in particular research projects, programs or domains. Their experiences have proven to be as diverse and interesting as their initially proposed approaches. Many of the Pilots have carried out a wide range of activities and experienced many things in using knowledge sharing in research. 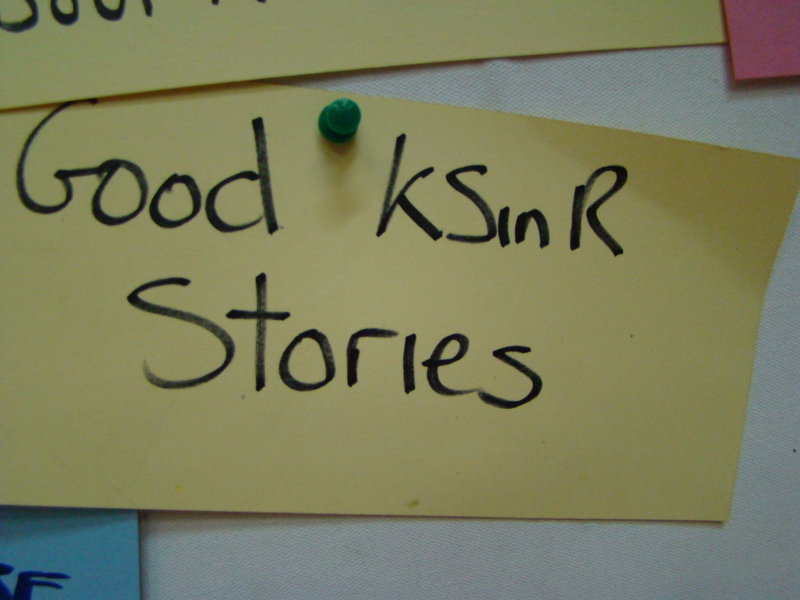 In the previous exercises of the KSinR Synthesis Workshop the participants had been asked to describe and evaluate the whole host of activities, outputs and outcomes of their Projects. In this session the Pilot projects were asked to present the most significant change th at they think has/had happened in using knowledge sharing in their research projects or domains. This was to be done through the use of the ‘Most Significant Change story approach’. 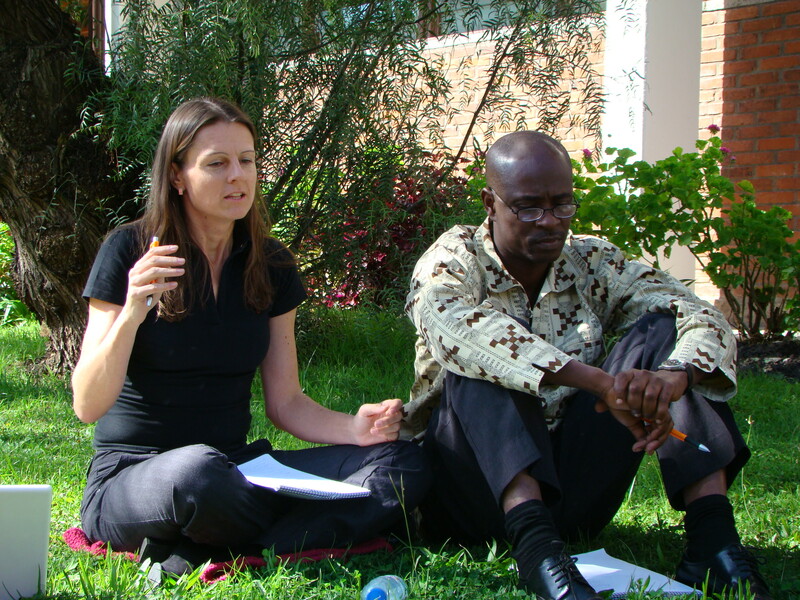 Participants had been informed of this prior to arriving at the workshop and an explanation had been given on Day 1 to allow them to prepare their stories. 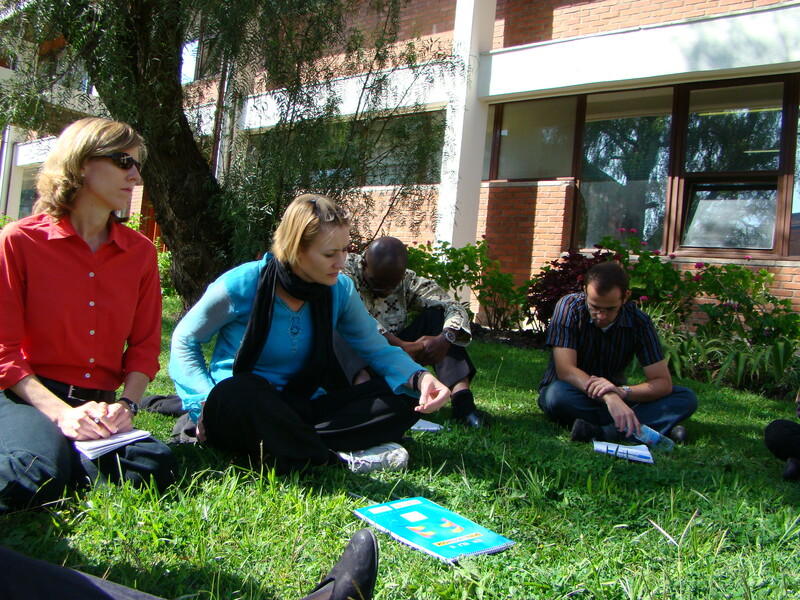 On Day 2 the workshop moved out into the ILRI Campus gardens to present and listen to stories of most significant change from using knowledge sharing approaches in research. 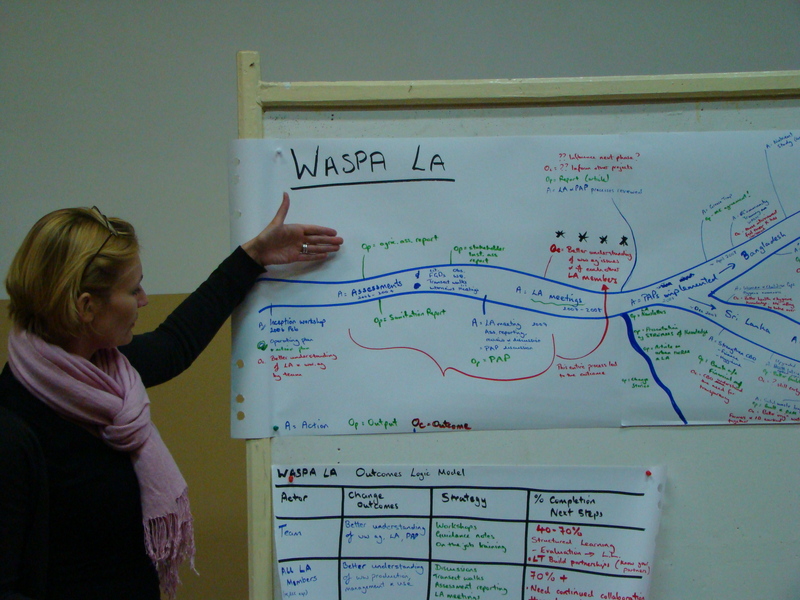 the workshop provided a meeting point for people who needed something and those who could meet that need. There was empowerment of women farmers through this process. For example Ruqeia a young female farmer was at first nervous to present her story but after she did she was congratulated by many participants of her good agricultural knowledge and skills. She then took the initiative to approach an FAO representative to ask for help on Integrated Pest Management which he had presented on. The implementers became more aware of the fact that knowledge sharing approaches may need to be tailored to work with marginalised groups-thus it is necessary to refine approaches to be appropriate to varying types, uses, needs etc of knowledge by different groups. For what happened next..stay tuned for the next blog post! Day 2 of the Synthesis Workshop (17-19 November 2008) of the Knowledge Sharing in Research project was heavily focused on learning. 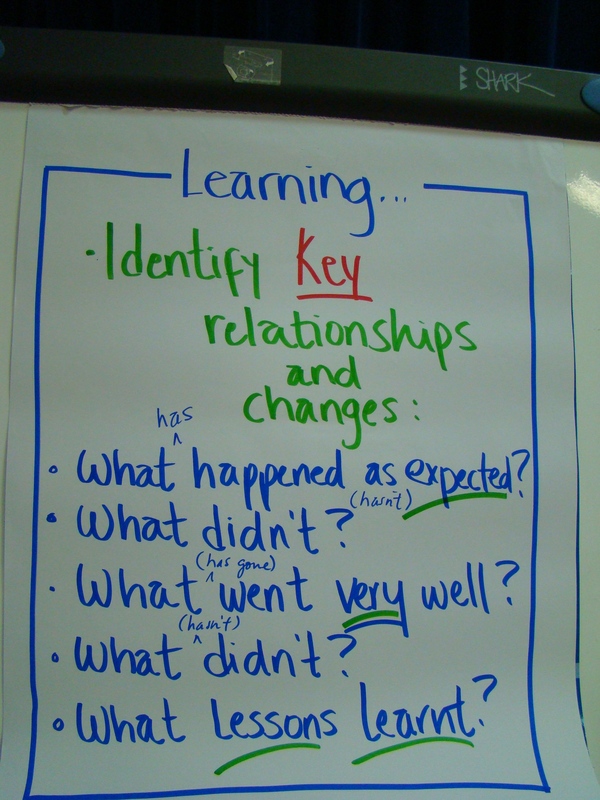 Building on the previous day of review and reflection, Day 2 was aimed at a much more defined and in-depth evaluation process of the Pilot projects and other KSinR activities towards learning. 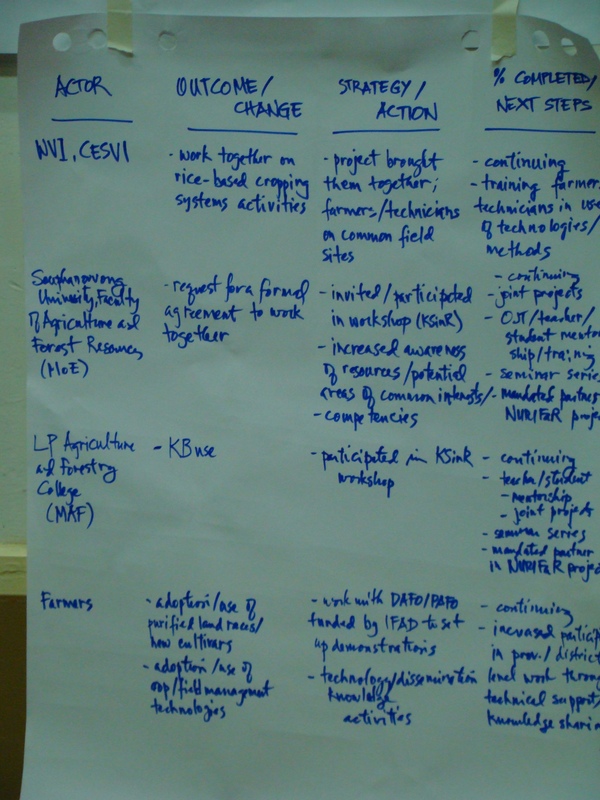 The first exercise in the agenda was to look at the projects in terms of what happened, what didn’t, what went well, and what didn’t go well in terms of the changes planned and the strategies (KS approaches) used. The participants all prepared answers to these questions to be presented back to the group. Time was given after each presentation for questions, comments and discussion. 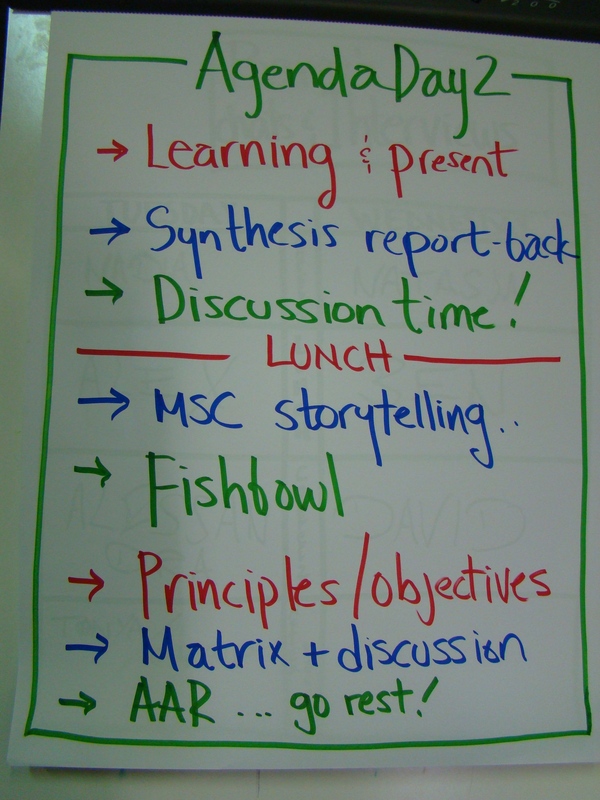 Further posts will be made on these activities, and results of all Synthesis workshop exercises will be available soon on the KS website. 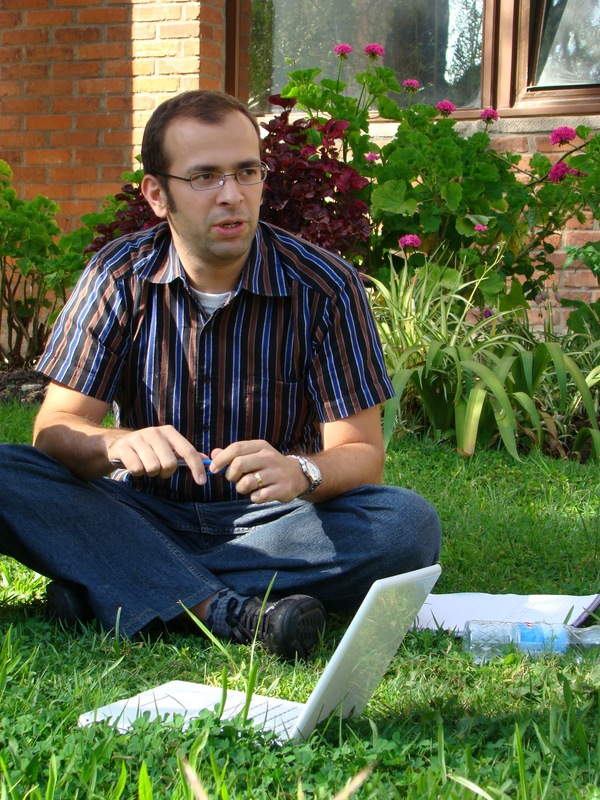 In the Inception workshop for the Knowledge Sharing in Research project, the Project Leader and Pilot projects all used the Impact Pathways approach to look at the actors who were considered necessary in the network around the particular project with whom relationships should be changed, strengthened or made in order to achieve success in the project. Changes in the particular actors were made explicit as well as the particular strategy which would be employed to bring this about. 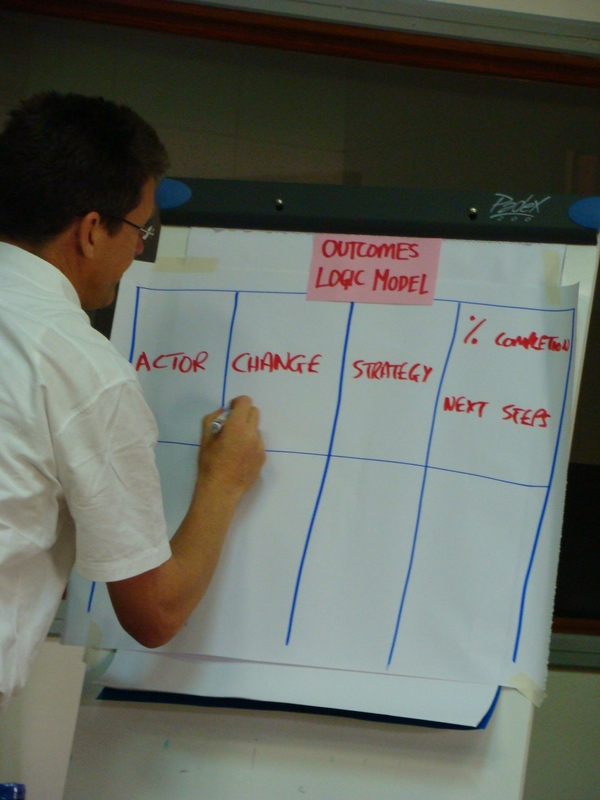 In the recently held Synthesis workshop fo the project, all Pilot Projects were asked to revisit this concept by filling out an Outcome Logic Model table. 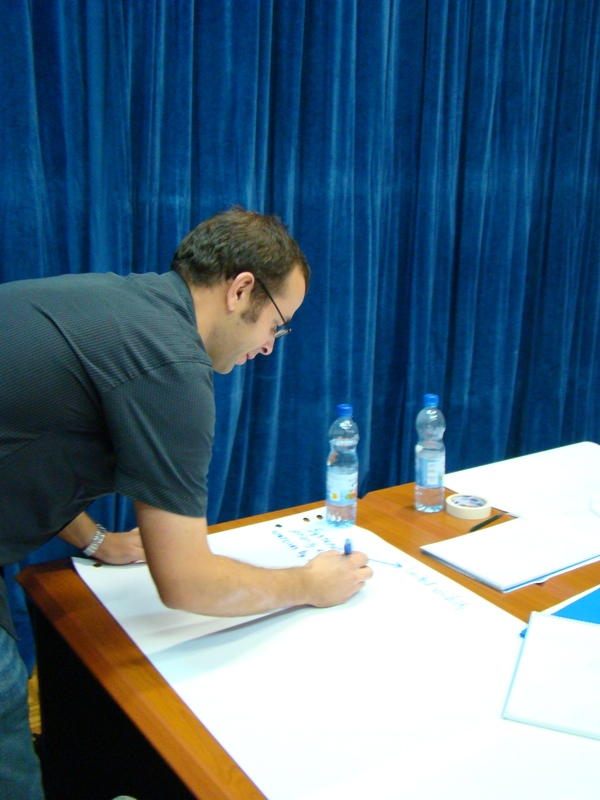 Each participant filled in the table and presented it either as a flip chart, on their computers or by speaking about it. 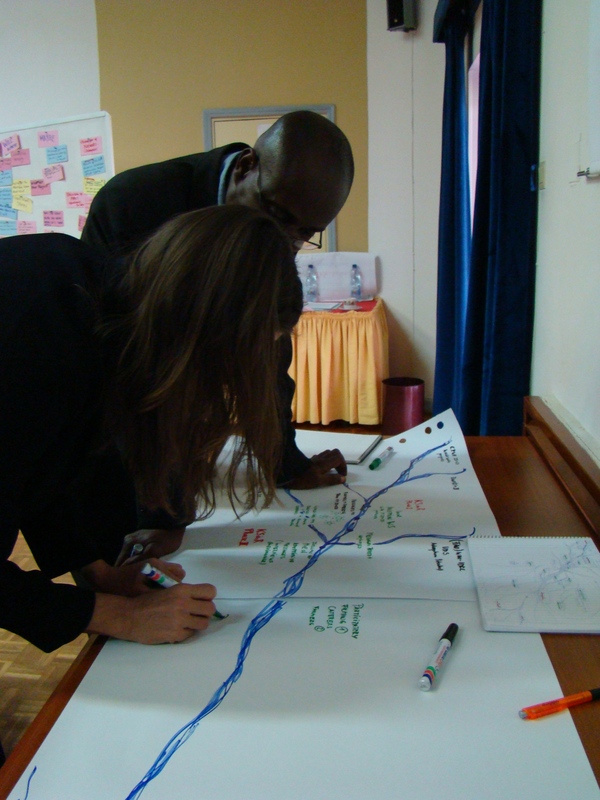 In the Knowledge Sharing in Research project’s Synthesis Workshop, held 17-19 November 2008 in Addis Ababa, Ethiopia, a ‘River of Life’ exercise was used to facilitate the reviewing of all the KSinR Pilot Projects and KSinR project. This exercise was meant to facilitate the remembering, showing and documenting of all that has happened in the projects, which is often difficult, through drawing rather than listing. 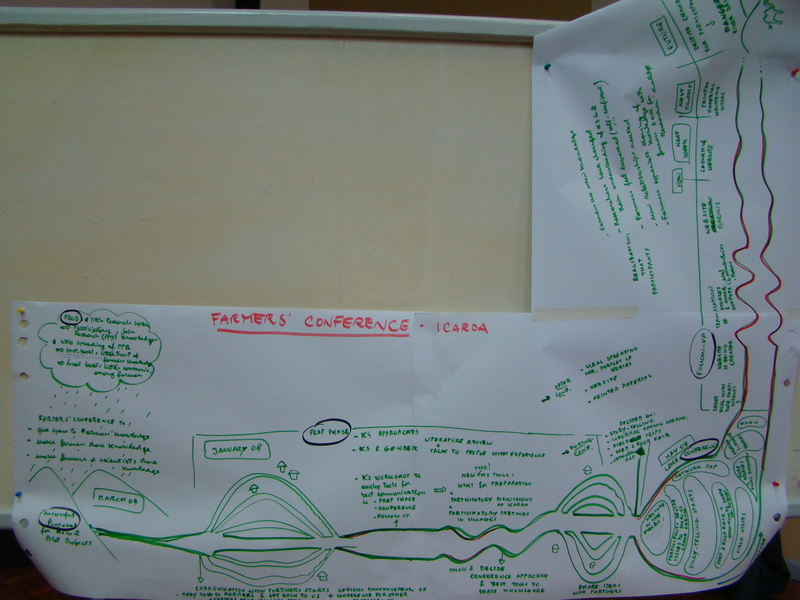 The ‘river’ metaphor also helped people to consider the logical flow along the project, showing the source, where there may have been some turbulence (rapids), certain branches which did not pan out, parallel streams of activities…and more. 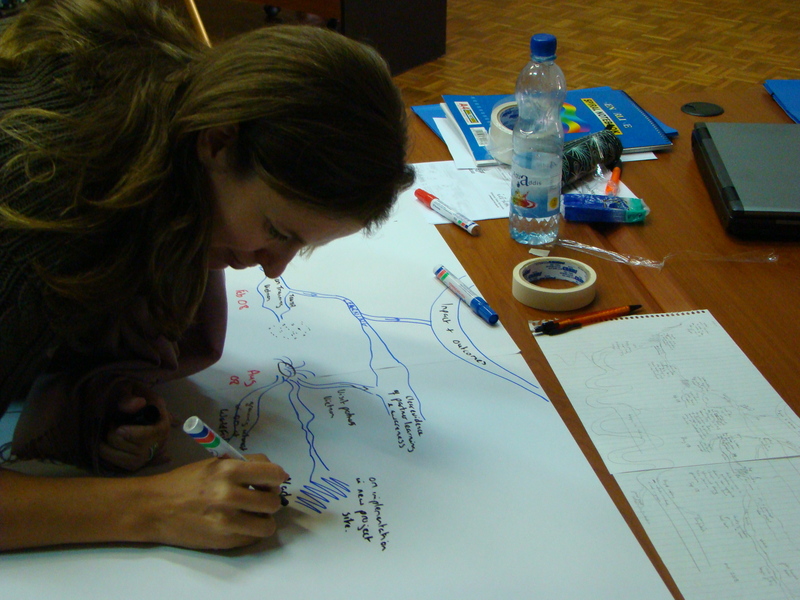 While drawing the River of Life by each project, Sophie Alvarez and Boru Douthwaithe provided some suggestions and motivations to the projects in depicting their projects. Once the drawing were finished these were mounted on the walls and pinboards around the room. 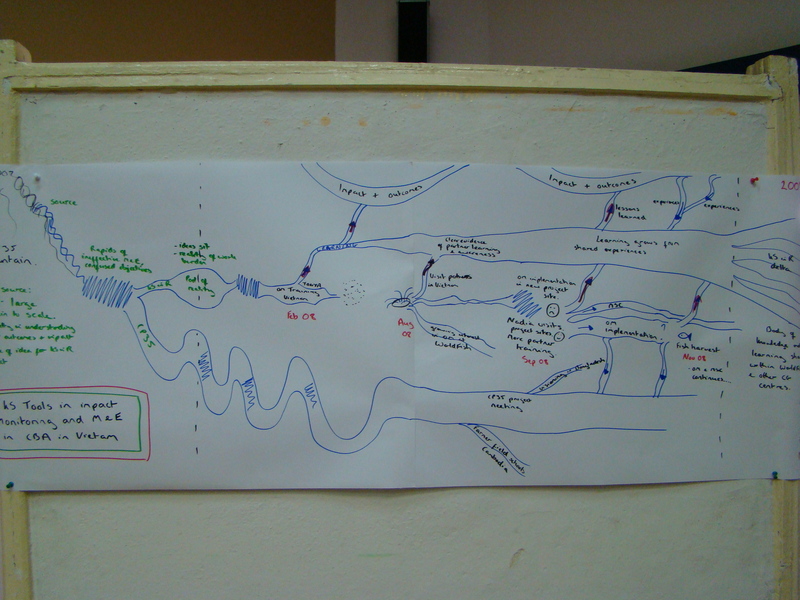 Each Project was then asked to present their ‘River of Life’ to the group, explaining what had happened, what outputs were produced and what outcomes they thought had occurred.